Every pilgrim wish to visit Holy Makkah to perform Hajj and Umrah and it's a dream of every Muslims, when person reach their he or she should be careful that not any of her action hurt anyone in those sacred places. Pilgrim should also pay attention in developing virtuous inner and outer manners. One of the major objectives of pilgrimage is to show kindness to other peoples and give respect to all blessed sites and to work hard in improving his or her spiritual state by remembering the religious incidents took place on sacred locations. 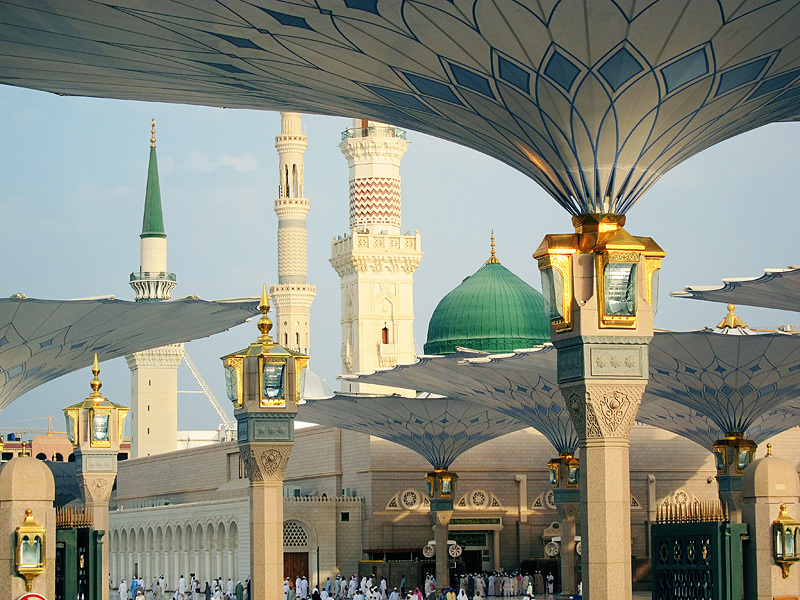 Therefore ritual prayers, sacred mosques, the site of revelation of Holy Quran, the Holy Kaaba, the sacred hills of Safa and Marwah, where Bibi Hajra ran in search of water for Hazrat Ibraheem (AS), and there are so many other sacred places located in Saudi Arabia that are all symbols of ALLAH Almighty. Muslims are advised to be respectful especially of these symbols during minor or major pilgrimage. A person should avoid inappropriate manner or behaviours like sitting or lying down by point the legs and foot towards the Holy Kaaba, making meaningless and lewd talks and reciting the Holy Quran in an incorrect manner and after reciting leaving it on the ground. Moreover, being a Muslim, in those sacred places we should try to help those people who are in need of any kind of help. As all the pilgrims are the Guests of ALLAH Almighty, we need to share the problems and sufferings of the fellow wayfarer, the sick, the needy those who lost their financials, or those who pilgrims who lose any of their relatives. These kinds of acts are the manifestation of the great and lofty attributes, such as compassion, mercy, sympathy and altruism, which every Muslim's heart is required to have. Either it is Major or minor pilgrimage, if performed without these kinds of feelings will not get the expected results. For this reason both pilgrimages should have to be performed with such a true intention and virtuous feeling in heart that you are going to perform act of worship that can make you closer to ALLAH Almighty. This is why pilgrims while in the sacred state of Ihram must not pick up grass, hunt animals, kill lice or pluck even a single body hair. Those people who wear the special pilgrimage garments of ihram with the intention of performing Hajj or Umrah should have to abstain from all doubtful and unlawful things during their pilgrimage. Pilgrims should realize the need to show compassion, mercy, and kindness to all pilgrims and especially not to break any hearts of anyone. So when we leave our homes for performing Hajj or Umrah we need to keep many things in our minds to avoid any kind of mistake.